Even before stepping onto an NBA court the prodigy had fairly high expectations from the NBA fraternity. And guess what, he is blowing those expectations out of the water and outperforming what anyone could have expected from him. He never played college basketball but grew in the midst of what European League had to offer. Luka was just a 13-year-old boy when he signed with Real Madrid. He played three seasons with them in which he led the team to the Euro League Title in 2018 and also won the league's Most Valuable Player averaging 16 points, 4.9 rebounds, and 4.3 assists per game. Luka Doncic alongside Miami Heat's Goran Dragic helped Slovenia to win their first ever Euro Basket title in 2017. Dragic had all the appreciation for Luka after the win and went on to say "He's a born winner. He already has a lot of trophies and medals. I'm happy for him and he's going to be one of the best in the whole world." 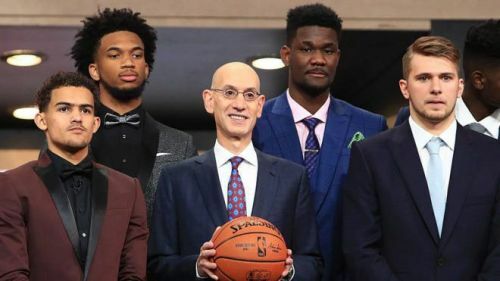 In the 2018 Draft, Doncic was selected third by the Atlanta Hawks and traded to Dallas Mavericks in exchange of Trae Young and a protected first-round pick. The first quarter of the season is coming to an end and Luka Doncic is already being seen as Rookie of the Year by critics and fans. 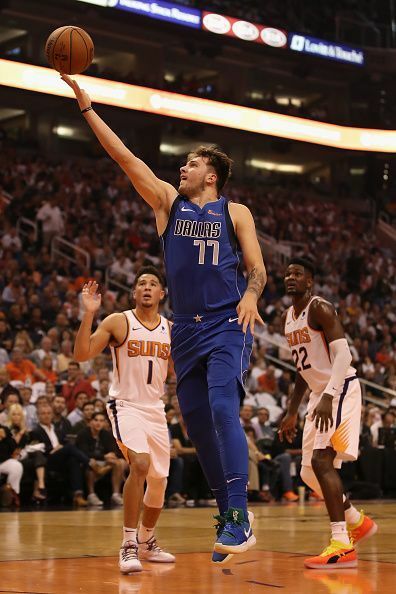 In 19 season games Dallas Mavericks has played so far, Luka Doncic is the team leader in points and assists; he is averaging 19.1 points, 4.2 assists and 6.5 rebounds per game. Standing at 6-feet 7-inches, Luka is considered as a "position-less play-maker" with his amazing ball handling skills, court vision and passing ability. Luka is an outstanding play-maker in transition and uses his size and instincts to ignite plays. He uses his size pretty well in creating mismatches and playing against comparatively smaller guards in the opposition. Dallas has dynamic inside-the-paint players like DeAndre Jordan and Wesley Matthews who receive timely dimes and help from Luka. The Dallas back-court has spot and perimeter shooters like Harrison Barnes, Dennis Smith Jr., J.J. Barea and Luka himself who can pump in shots when provided. He is not one of the best-conditioned athletes in the league and lacks the degree of burst with the ball. While he has great handles, but also has a tendency to dance with the ball, which sometimes results in turnovers. The guards in the opponent teams are quicker and agile which hinder while finishing. Luka also needs to work on his defensive upside; he has trouble containing the ball against more athletic guards and neither is a strong post-up defense against big players. In comparison with the fellow rookies, Luka is leading the league in total points and points per game. He is among the top five in assists and rebounds so far. The closest competition in the ROTY race is from Atlanta Hawks' guard, Trae Young and Phoenix Suns' center, DeAndre Ayton. All these three prospects have different playing positions and playing styles which makes the competition even more fierce to choose from. As the season progresses the NBA will see the entirety of the 19 years old European phenom. Luka is definitely the fan favorite and in addition, also belongs to a playoff-potential franchise. The West is stacked with neck-to-neck competition and the rookies look thirsty. Amidst all this, we'll have to see if Luka 'Wonderboy' Doncic has the charisma to prove himself at the grandest stage of basketball and become this year's NBA Rookie of the Year!